One-Push Air Threading System - Simply insert the thread into the specially designed ports and your thread is transported to where it needs to be with an easy push of a lever. 8-Piece Feed Dog System - With strategically placed feed dogs in eight locations, the AT2000D will easily grab and feed your fabric. 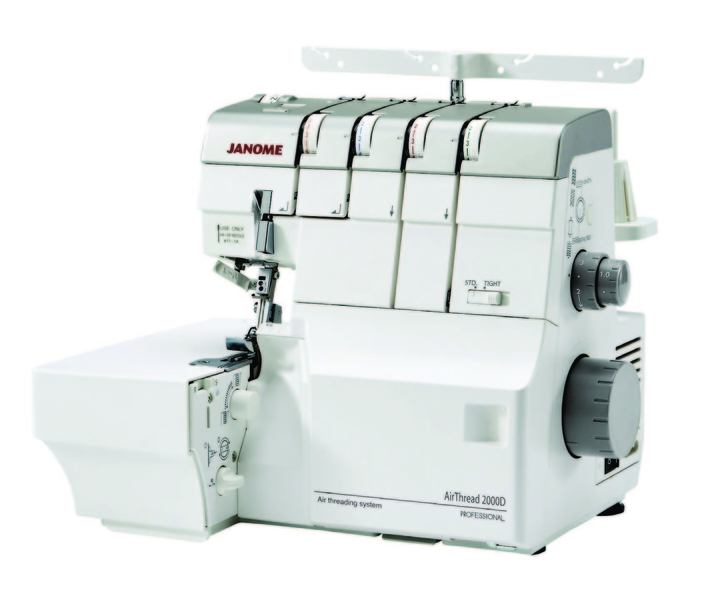 From knits to denim, the AT2000D will meet the challenges of your sewing projects. Built-in One-step Converter - Changing from a 3-thread to a 2-thread application has never been easier! Simply place your finger under the converter and flip it into position. 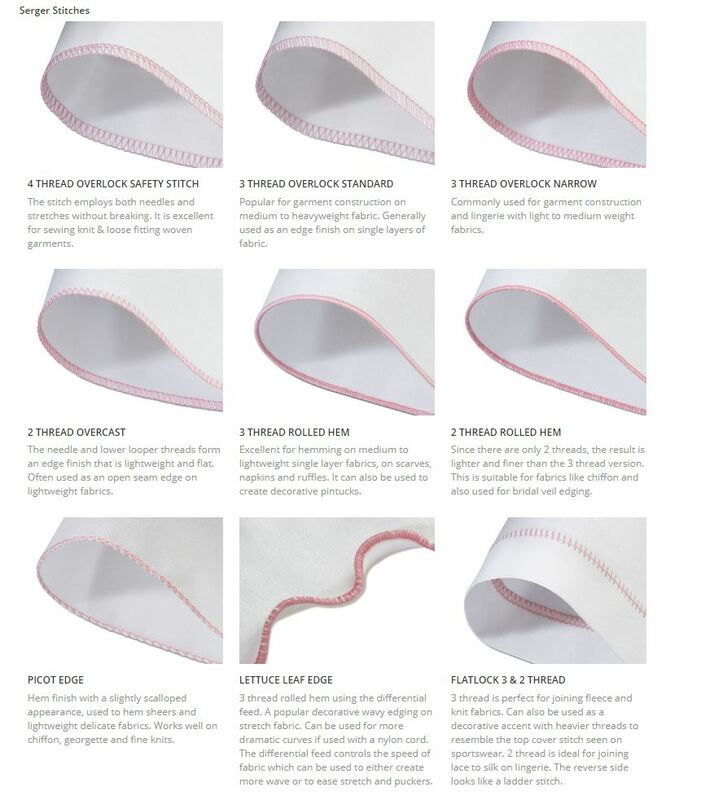 Now, you’re ready to sew delicate rolled hems or reduce the bulk in your overlock edge. 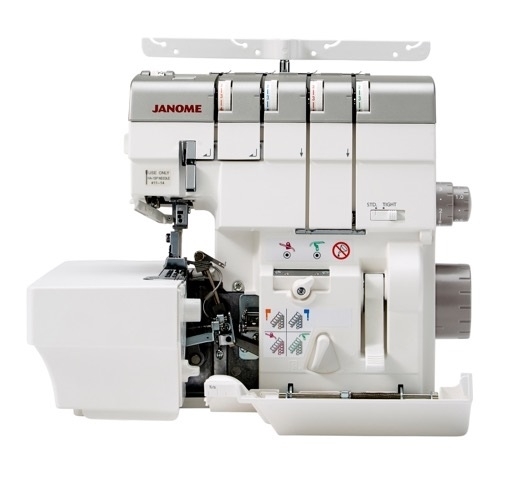 Built-in Needle Threader - A Janome first! 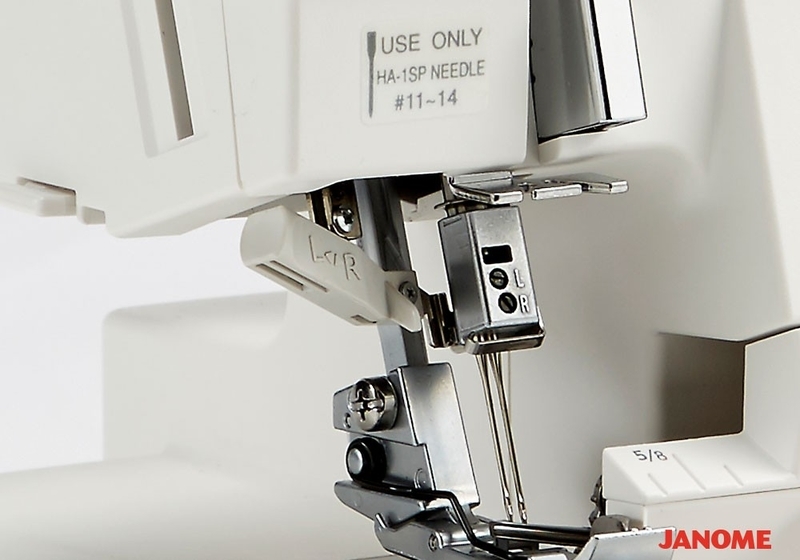 With a built-in needle threader, manually threading your Overlock needles is a thing of the past. One unit provides easy threading of both the right and left position needles. Easy access - No need to open the side cover the dials are all in one place! Easily adjust the cutting width to ensure stitches sit correctly on the edge of the fabric, even on curves whether the fabric is bulky or fine. The upper knife can be easily deactivated for decorative flatlock and pintucking etc. 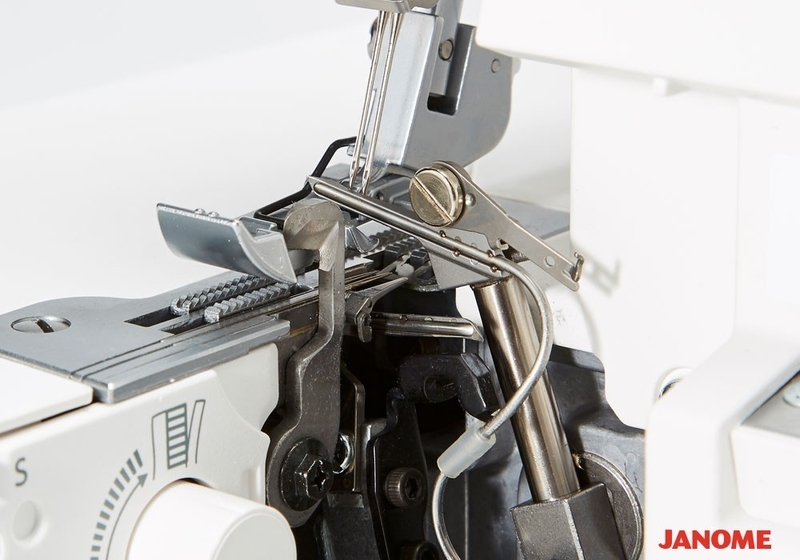 Integrated dial - The cleverly integrated stitch length and differential feed dials can be easily adjusted to the perfect setting for your fabric whether sewing stretch or lightweight fabrics. Experiment to create gathers or decorative lettuce leaf edgings. Stable running - This is a consistent and robust overlocker. The main shaft is equipped with two ball bearings which provide low torque, making it powerful and stable running even at high speeds. 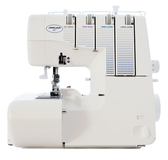 The Novum Supa Lock 486 overlocker is an excellent choice if you are looking for features and performance. Surprisingly easy to use ... this is.. 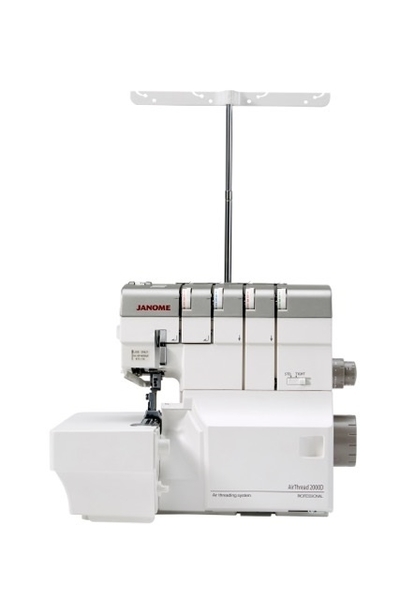 The Jaguar 487 overlocker is superbly engineered 2,3 or 4 thread overlocker with differential feed, is a favourite among machinists demanding a range of easily produced professional looking finishes way beyond those possible with a sewing machine. 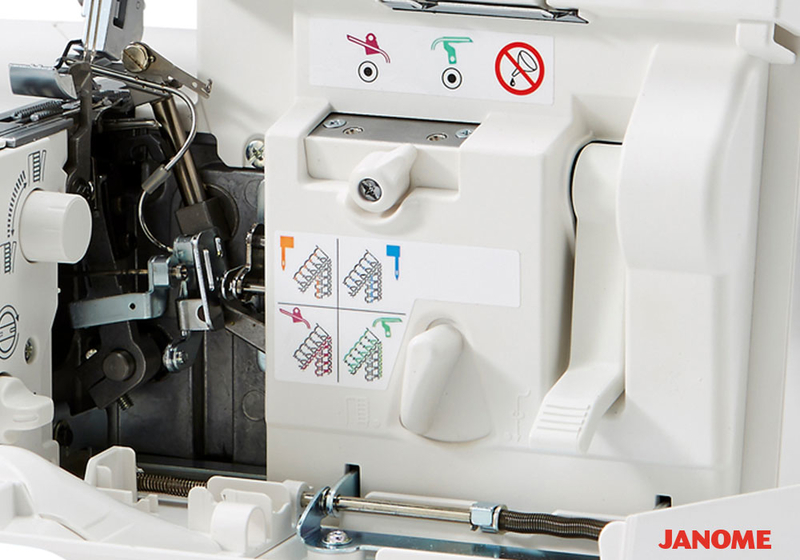 The front of the machine opens for cleaning and thread area access. Therefore, no special tools or tweezers are needed to thread the Jaguar. 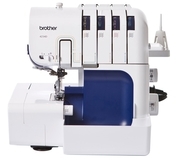 This overlocker has plenty of useful features such as the adjustable stitch width and length and foot pressure regulator. It's very robust and powerful with the Differential Feed which can manage difficult fabrics, it can also reach maximum speeds of up to 1300 Stitches Per Minute. For professional finishes, powerful overlocking and simplicity, then this is the overocker for you. Versatile use as a 2, 3 and 4 thread overlocker. Differential Feed - Dual feeds which can be adjusted independently to help manage difficult and extreme fabrics. These feed dogs will cope with stretch fabrics effortlessly and overlock fine fabrics to give a pucker free finish. Weighs 8.0kg. Stitch Length 1-5mm. Up to 1300 Stitches Per Minute. 320mm (W) x 280mm (D) x 280mm (H). Voltage: 220-240 Volts. Accessories Included: Two-Thread Convertor, Stitch Finger, Needle Set, Needle Threader, Brush, Screw driver (Small), Tape Measure, Dust Cover, Screw Driver (Large), Oiler, Moving Cutter, Spanner, Thread Net, Tweezers, Spool Disc, Spool Holder, Spool Cap, Accessory Bag. Instruction Manual. Instructional DVD. 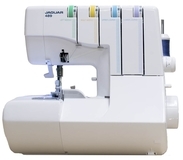 The Jaguar 487 overlocker is superbly engineered 2,3 or 4 thread overlocker with differential feed, is a favourite among machinists demanding a range..
Easy Professional Finish with a Robust & Reliable 2, 3 and 4 thread Overlocker The Jaguar 489 overlocker is the latest release in their highly..
Overlock seams perfectly and create amazing decorative effects. 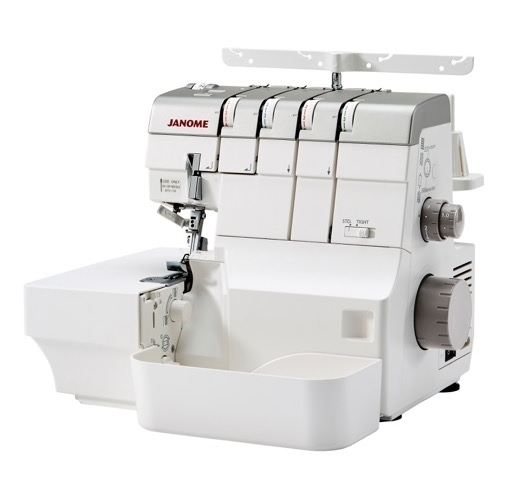 It features a needle threader, 2,3, or 4 thread sew and cut overlock stitches and an easy..
Janome 6234XL Overlocker. Normally £449, Save £50. Great British Sewing Bee Model. 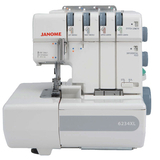 The Janome 6234XL Overlocker is the most advanced overlocker made by Janome. 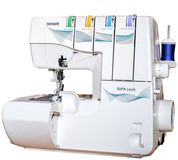 It has two needles and can be used as 2, 3 or 4 thread overlocking incorporating the differential feed ratio is adjustable from .05 to 2.25, providing increased control for handling all types of fabrics. Threading is simple, with colour coded guides and a self threading lower looper. 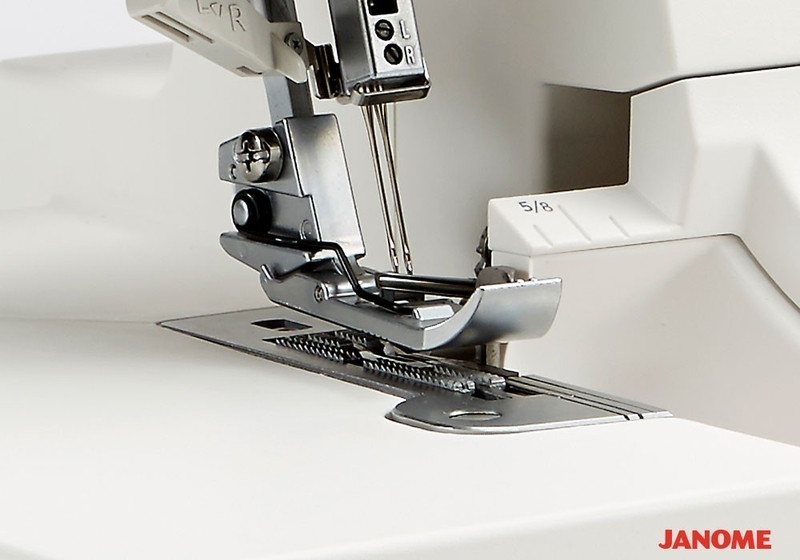 The 6234XL switches to rolled hemming without changing the needle plate. 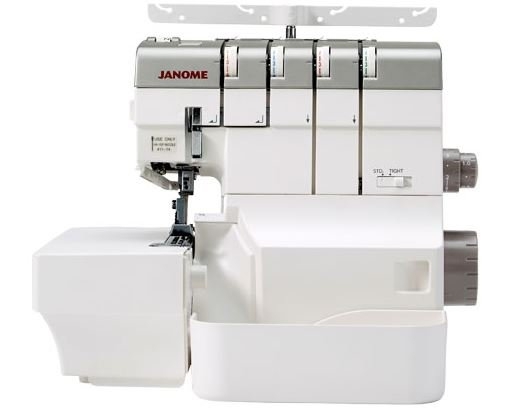 DISCOUNT PROMO CODE AVAILABLE FOR SELECTED MODELS – CALL OR EMAIL The Janome 6234XL Overlocker is the most advanced overlocker made by Janome..